Is this not hilarious?!?!?! So it all started when Gid poured root beer all down his shirt. He got annoyed that his shirt was all wet, so Jake took it off for him. 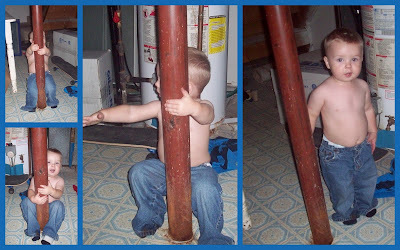 And somehow... without any provocation at all he decides to pole dance. Don't get me wrong, once he started we kept it going so I could snap some pictures... Good times eh? !